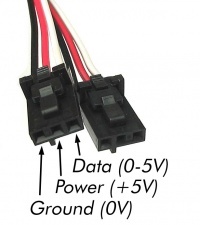 The 1122 measures AC current up to 30 Amps and DC Current from -30Amps to +30Amps. 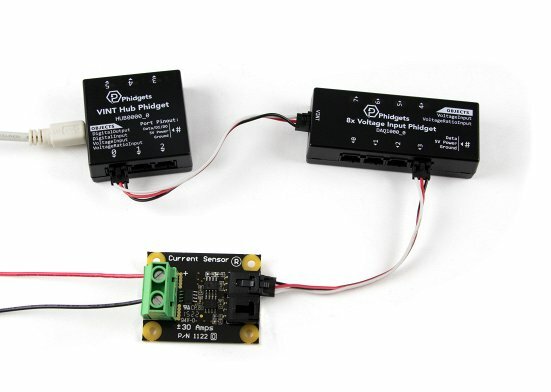 Dual outputs allow the user to measure both the AC and DC components of complex current waveforms separately. 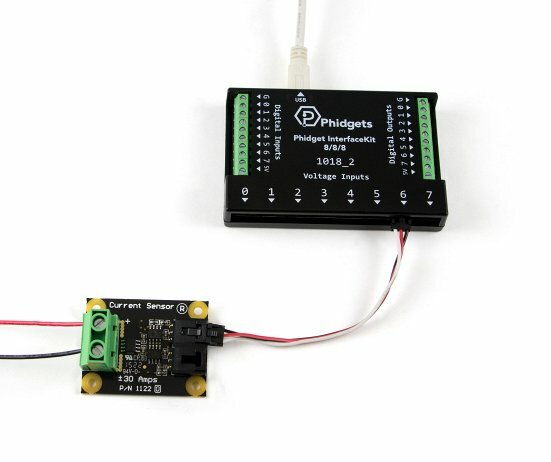 Connect the 1122 to the HUB0000 with the Phidget cable. 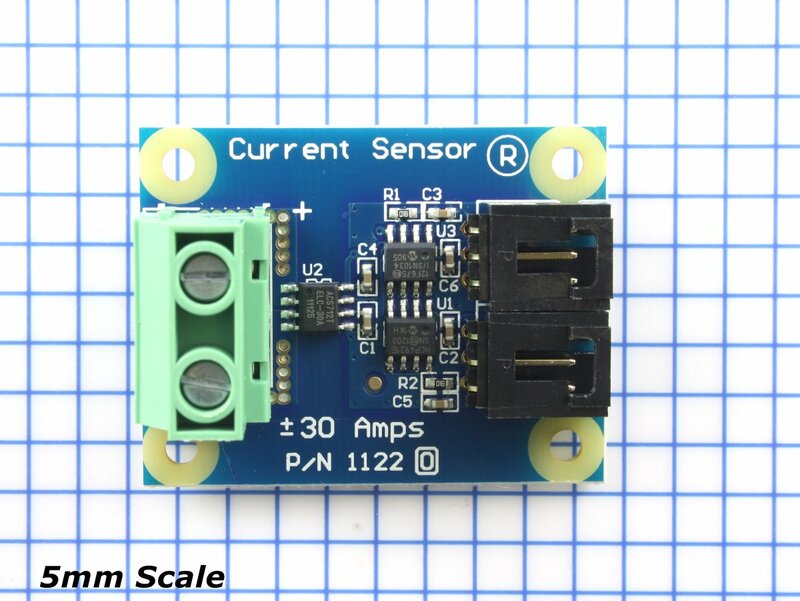 To measure alternating current, you can either use the DC port to measure a peak-to-peak AC signal, or you can use the AC port to measure the RMS value. To measure direct current, either the AC port or the DC port will work, since RMS calculations will have no effect on a DC signal. 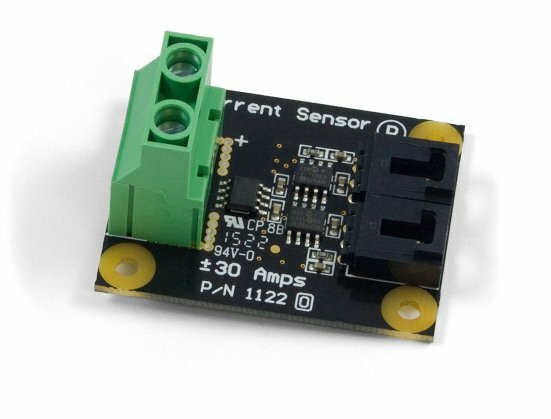 Connect the current-carrying wire into the terminals of the current sensor, paying attention to polarity. For safety, ensure that the wire is not powered until you're finished connecting everything. Now that you have everything together, let's start using the 1122! 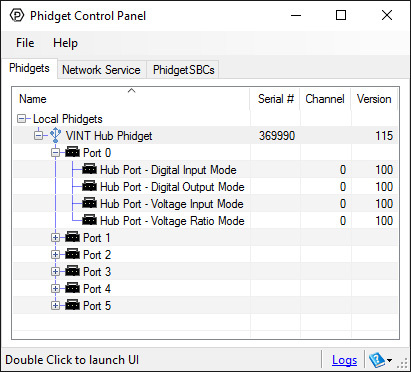 In order to demonstrate the functionality of the 1122, we will connect it to the HUB0000, and then run an example using the Phidget Control Panel on a Windows machine. Linux users can follow the getting started with Linux guide and continue reading here for more information about the 1122. 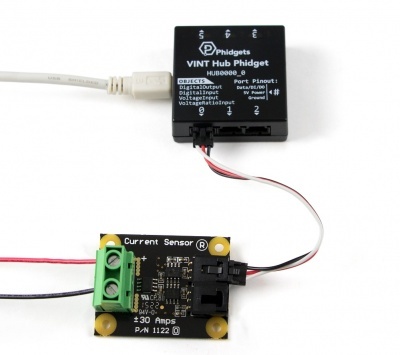 Select the 1122 from the Sensor Type drop-down menu. The example will now convert the voltage into amperage (A) automatically. 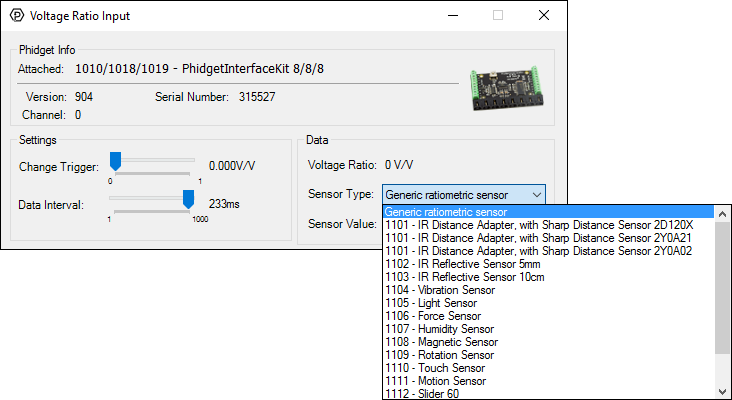 Converting the voltage to amperage (A) is not specific to this example, it is handled by the Phidget libraries, with functions you have access to when you begin developing! The 1122 measures alternating current (AC) up to 30 Amps and direct current (DC) between –30 and +30 Amps. It uses a Hall effect based sensor to measure the magnetic field induced by the applied current flowing through a copper conductor. It then converts the magnetic data into a current measurement with internal calculations. The AC output will give the root mean square (RMS) value of an alternating current assuming the current is sinusoidal, and the sine wave is varying equally across the zero point. 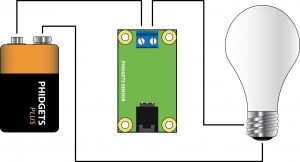 The AC output can also be used for signals that are not varying evenly around the zero point but the value will be the RMS plus a DC component. 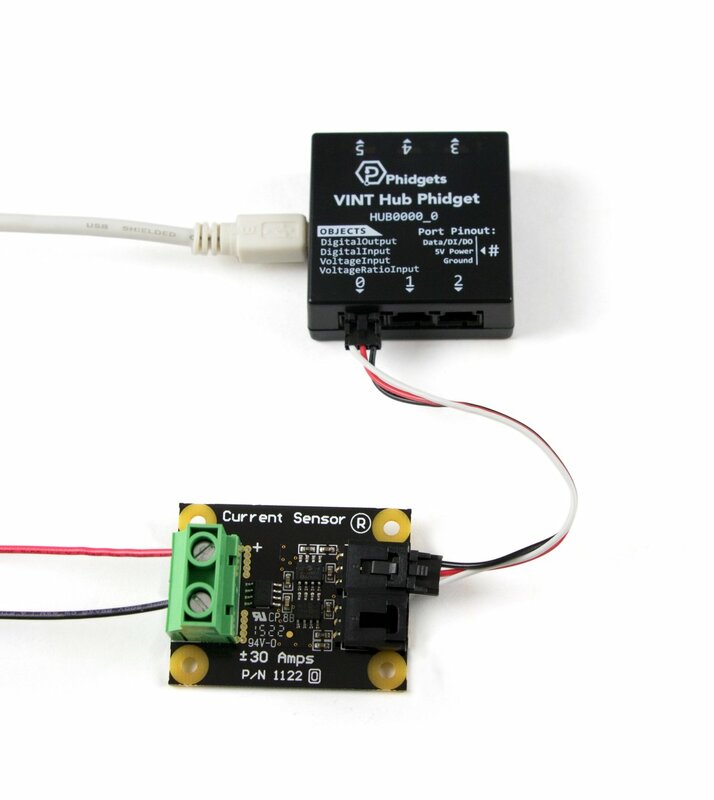 If a DC signal is being measured, the AC output will produce a signal that can be used to calculate the current but without the value representing direction of current flow. In the diagrams above, the voltage source is represented by the battery symbol. The load is represented by a light bulb or schematic resistor symbol. 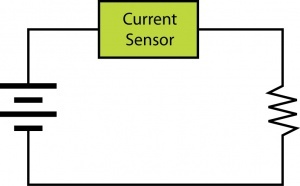 The current flowing from the battery to the load is measured through the current sensor.